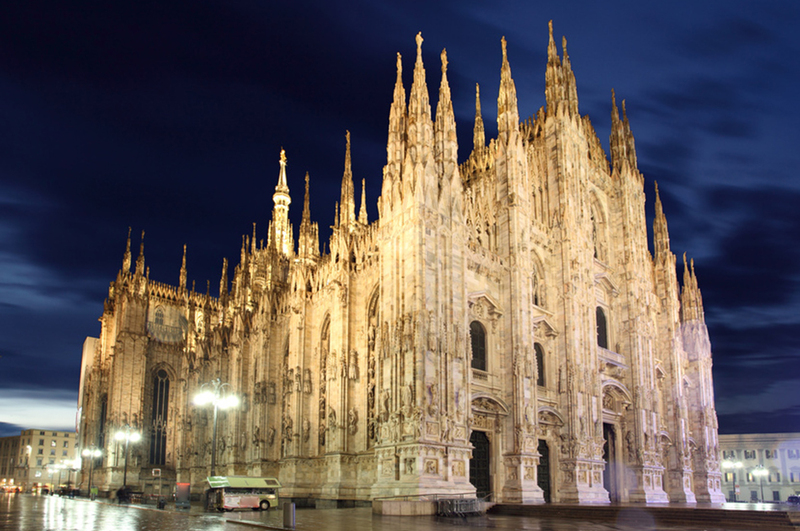 The Duomo of Milan, a massive late Gothic church, is an amazing sight. Stretching up high above the piazza del Duomo, it is the fifth largest cathedral in the world and the largest in the Italian state territory. A staggering 3,500 statues and 135 spires adorn the marble structure, which has a Baroque and neo-Gothic façade, as well as five bronze doors carved by different artists. 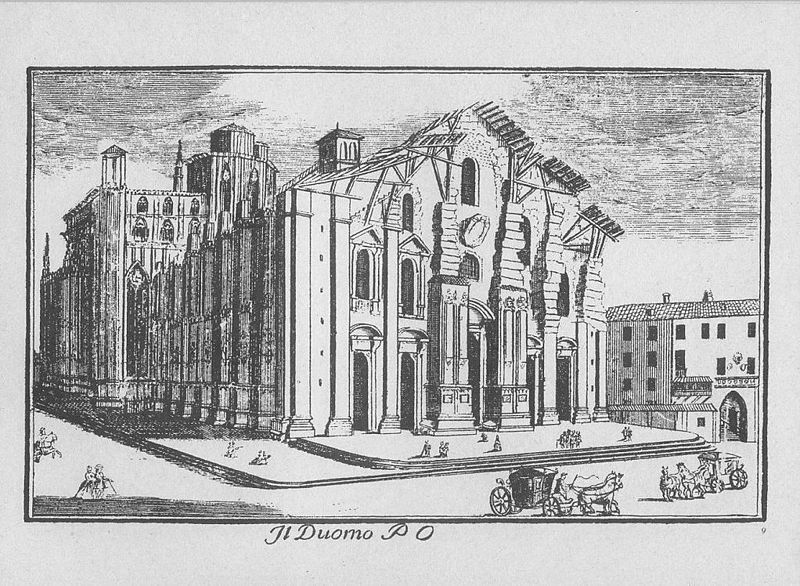 The construction started in 1386 and took nearly 500 years to complete. Considering the scale of the dome, it's no wonder. In fact, the building work still continues today. Don't miss the chance to climb up onto the roof and enjoy the spectacular views of the city and the Alps between the Gothic spires. 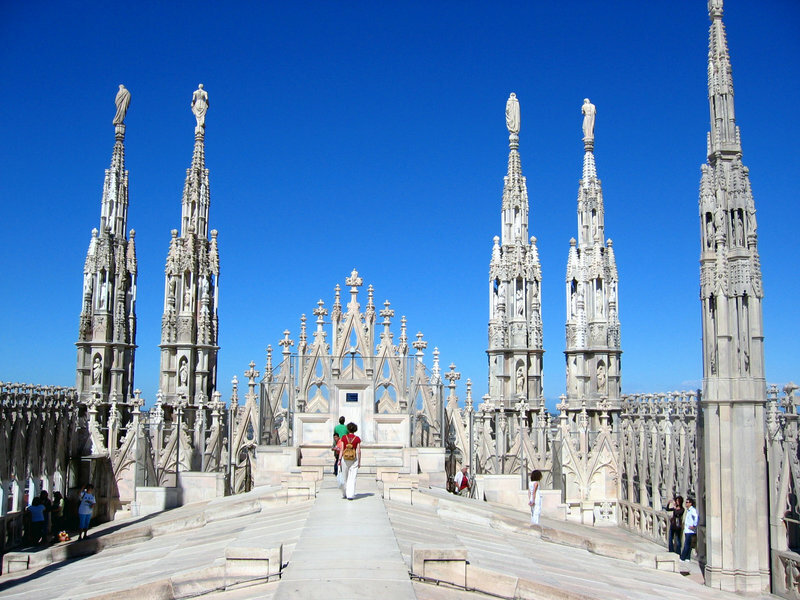 Duomo is reachable by subway, lines MM1 or MM3, Duomo Station, or with many buses and trams. Roof open daily 09:00-17:30 (€7 for the stairs, €12 for the lift). Unless you are physically unfit, it is best recommended to take the stairs (250 steps only) and save €5. On an average, it should not take more than 5-6 minutes to climb the stairs.